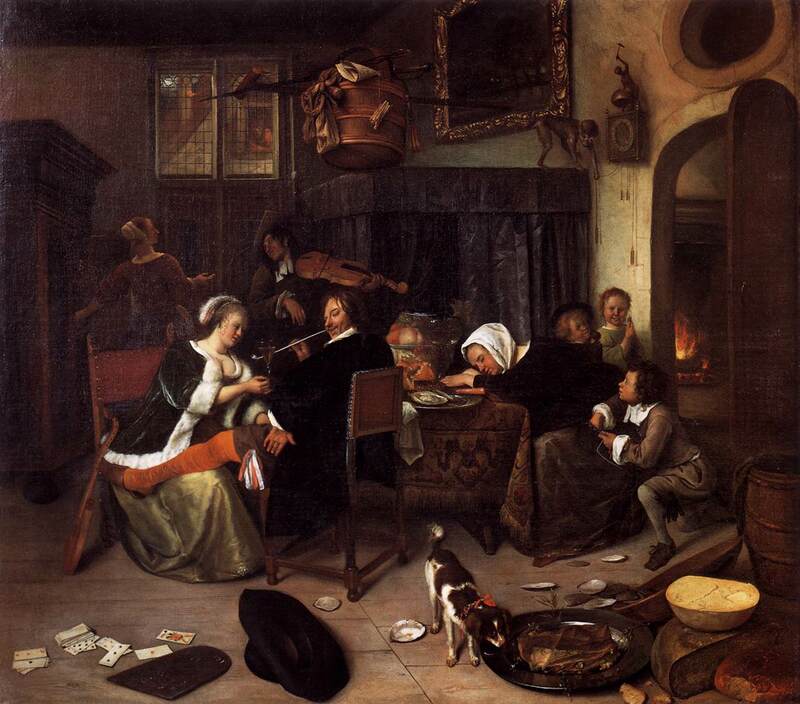 Jan Steen, The Dissolute Household, 1661-64. 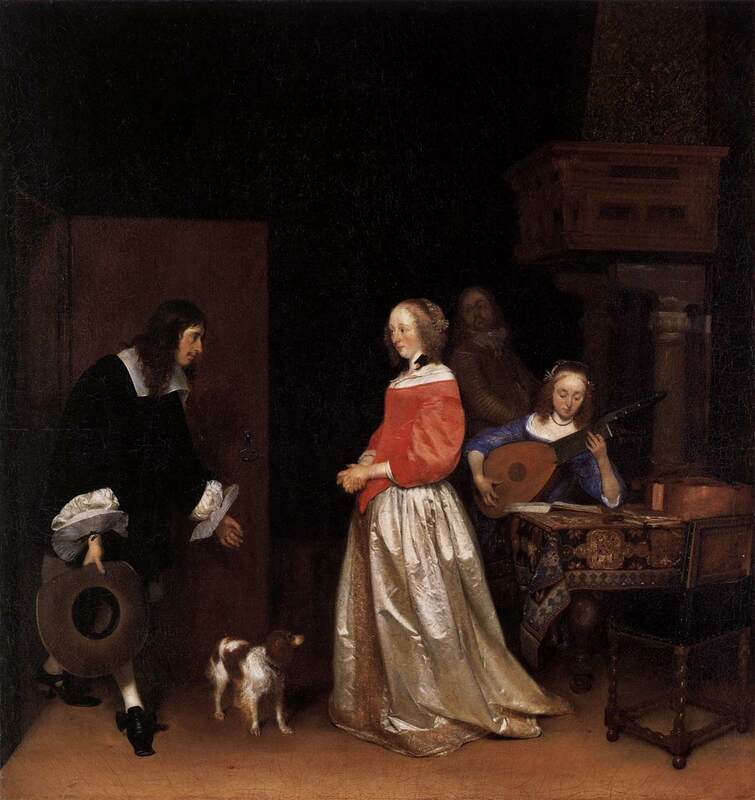 Gerard ter Borch, The Suitor’s Visit, 1658. 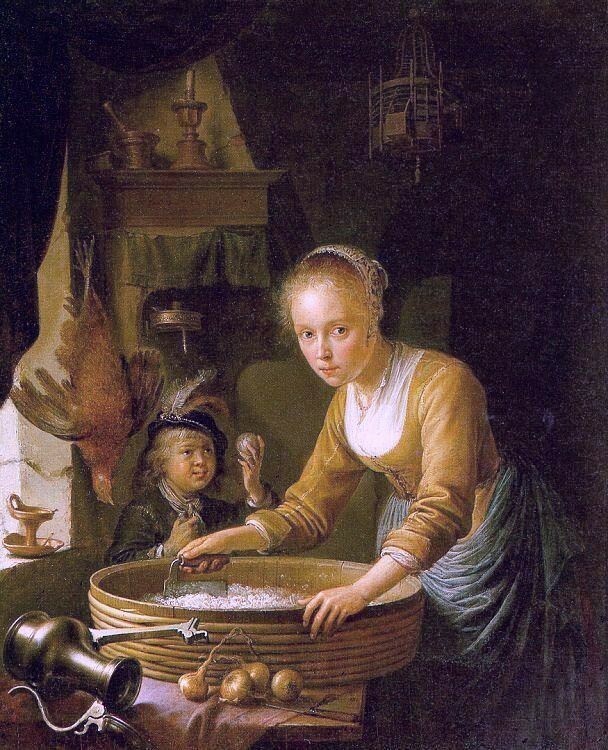 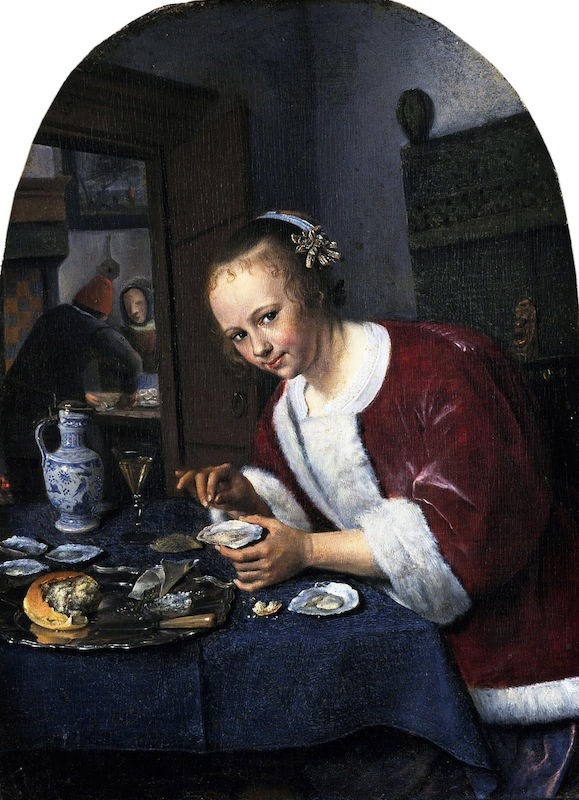 Gerrit Dou, A Girl Chopping Onions, 1646. 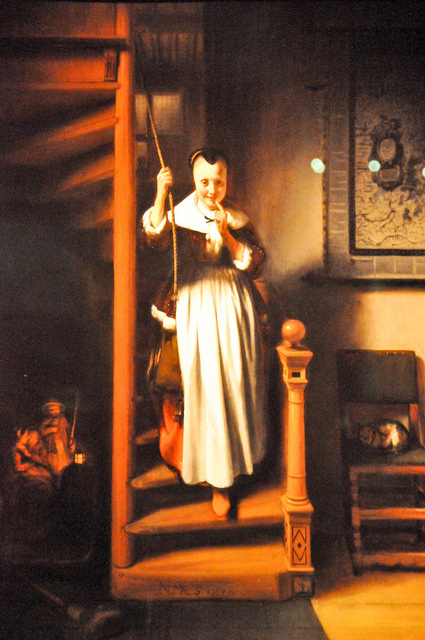 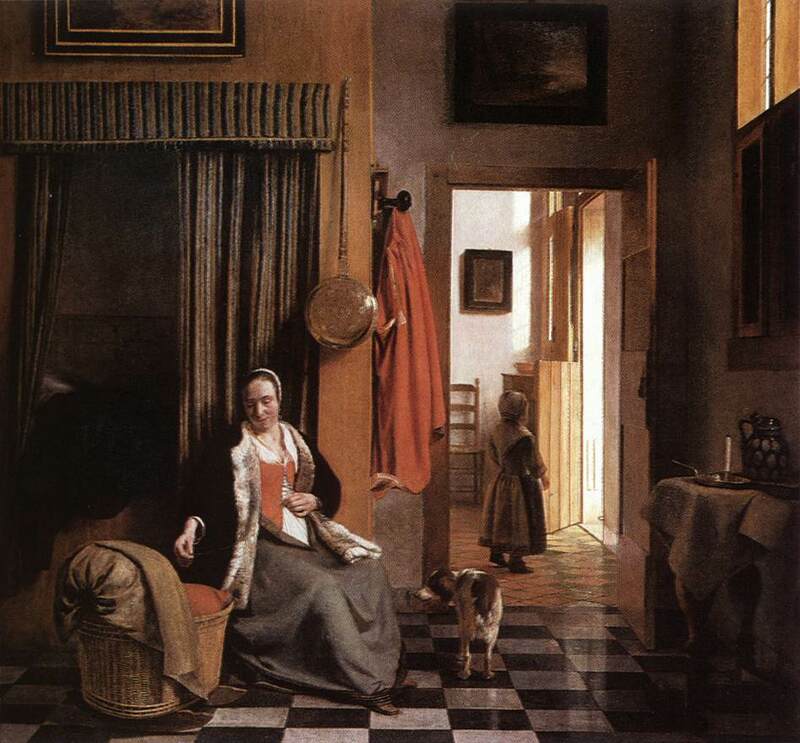 Pieter de Hooch, The Mother, c. 1661-63. 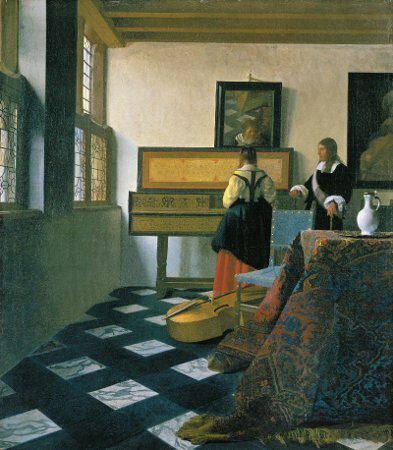 Johannes Vermeer, The Music Lesson, 1662-64. 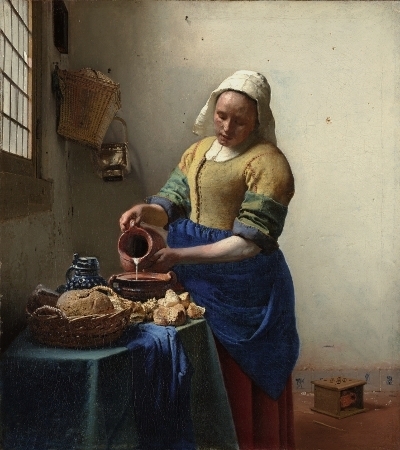 Johannes Vermeer, The Milkmaid, 1658-61.